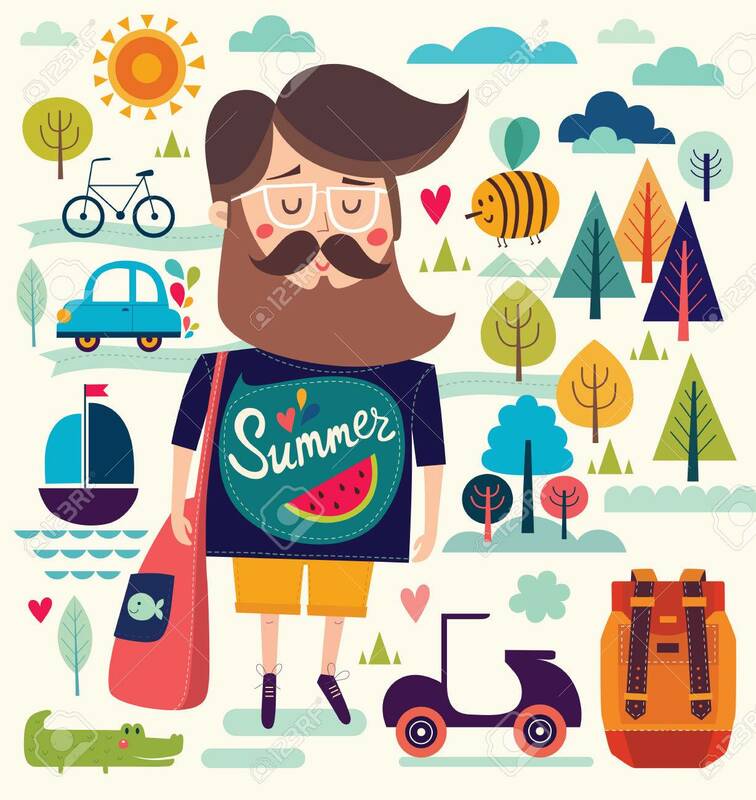 Vector Background With Summer Symbols: Hipster Man Sailboat Bee Motorbike Trees Crocodile. Cartoon Pattern Royalty Free Kliparty, Vektory A Ilustrace. Image 41067789.